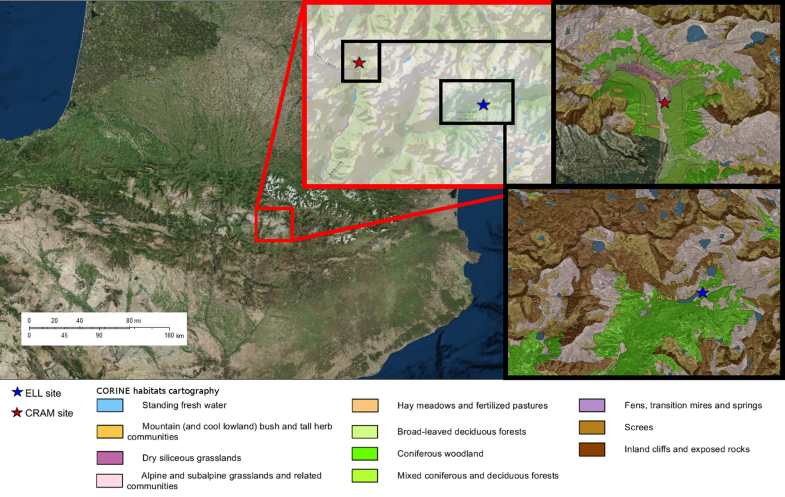 In order to improve the understanding of the carbon cycle in the Pyrenean region, two atmospheric monitoring mountain stations were set up within the Long-Term Ecological Research node of Aigüestortes i Estany de Sant Maurici at Central Pyrenees, Spain. 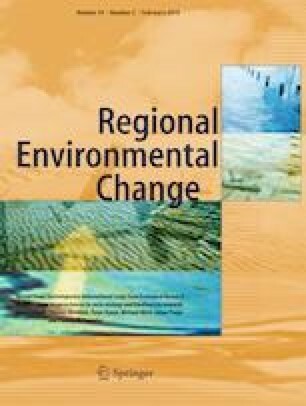 The atmospheric concentration of carbon dioxide (CO2) was measured over 2008–2014 and 2010–2014 at Estany Llong (ELL) site and Centre de Recerca d’Alta Muntanya (CRAM), respectively. Measurements were carried out fortnightly off-line with high precision instrumentation at ELL and every minute online with a lower precision sensor at CRAM in conjunction with meteorological variables. The two datasets were analyzed in this study, quantifying whenever possible annual growth rates (AGR), seasonal variability, and diurnal amplitudes. Results were also compared with the NOAA Marine Boundary Layer (MBL) reference product and CO2 data from other background monitoring stations. Four-harmonics adjusted CO2 data from ELL showed a high correlation with the NOAA MBL reference product for the same latitude (Spearman’s rho ρ = 0.96). In addition, AGRs of CO2 at ELL correlated well with those observed at Mace Head (MHD) station (ρ = 0.94), suggesting that ELL can be considered a background station. Winter CRAM CO2 data was not statistically different from ELL data, while in summer, it was 5.5 ppm lower on average, suggesting a higher photosynthesis uptake. The amplitude of the CO2 diurnal cycle at CRAM was found to be exponentially related to the local mean daily temperature and dependent on forthcoming wind sector (N-NW or E-SE-S-SW). An increase in CRAM CO2 concentrations was observed under N-NW winds during daytime, which could be related to traffic emissions. This study demonstrates that the use of CO2 sensors with low precision but continuously corrected and periodically calibrated can be used for the study of local and regional CO2 sources and sinks. The online version of this article ( https://doi.org/10.1007/s10113-018-1443-2) contains supplementary material, which is available to authorized users. The authors would like to acknowledge the people from the Aigüestortes i Estany de Sant Maurici National Park, especially Mercè Aniz, for their support on this research. We would also like to thank the University of Barcelona (UB) for their actions and help in installing a continuous measurement station at the Centre de Recerca d’Alta Muntanya (CRAM). We finally thank all the people who participated in the samplings, particularly Helena Parga, Laura Agraz, Rober Sanchez, Cristina Cereza, Montserrat Recolons, Manel Nofuentes, Silvia Borras, Lidia Cañas, Eusebi Vazquez, and Paola Occhipinti. We used the Marine Boundary Layer reference product kindly provided by E. Dlugokencky, K. Masarie, P. Lang, and P. Tans from NOAA. We used the ObsPack CO2 flask data from Mace Head, CIBA, and Monte Cimone stations. We thank all measurement groups for submitting CO2 concentration data to the ObsPack-GLOBALVIEW product. This work has been mainly funded by own resources of the LAO-Climadat Lab at IC3 and by the Fluxpyr project (POCTEFA Program EFA 34/08 - Interreg IV-A). Data is available through virtual access provided and funded in the frame of eLTER H2020 - European Long-Term Ecosystem and Socio-Ecological Research Infrastructure (EC project GA: 654359; INFRAIA; 2015–2019).